Today a growing number of properties utilize trendy aluminum and glass garage doors. These structures admit far more light than conventional garage doors. They help create a bright, cheery interior atmosphere. If you’ve decided to explore replacing garage doors with new glass panel garage doors, contact Pros On Call for installation and maintenance services. We’ve got you covered for glass garage door installation and all of your other garage door services too! Pros On Call furnishes comprehensive garage door installation and repair assistance to customers. As a fully licensed, bonded and insured firm, we depend upon the skills of teams of experts. (Our technicians possess at least five years of experience!) In addition to garage door services, our company offers the expertise of qualified locksmiths. You can count on us to advise you about the best garage door installation options fitting your budget and goals. Familiarity with the leading names in garage door manufacturing, including Overhead Door, Northwest Door and Summit Door, Inc. The current interest in attractive aluminum and glass garage doors has led some garage door manufacturers to produce specific lines of these products. Some popular examples include the Envy Collection from Overhead Door and the Athena model from Martin Door. These stylish doors admit sunlight into a garage, while also using reflective properties to maintain privacy and security. Pros On Call possesses the expertise required to install and service many different types of stylish glass garage doors. 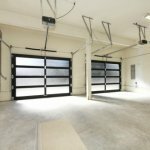 What types of glass garage door services do we offer? Glass Garage Door Installation And Maintenance: Our technicians possess the equipment and expertise required to install and maintain all types of garage doors. Contact us soon to request a service appointment. 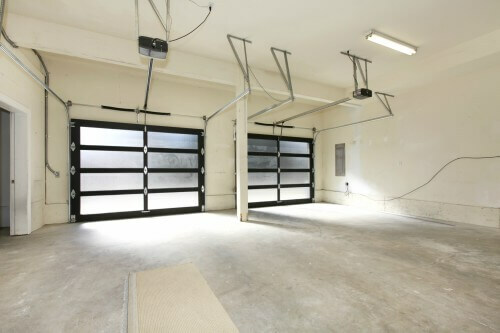 Glass Garage Door Repair: Have you encountered problems with your doors? Ask us to repair broken or damaged panels, replace rusted and worn springs and troubleshoot possible track and automatic door motor malfunctions. We supply a full array of garage door repair skills. Glass Garage Door Replacement: Do you choose to replace your existing garage door with a newer model? Contact us for fast, expert assistance. Emergency Glass Garage Door Services: Pros On Call offers emergency services to help clients solve glass garage door emergencies. For example, if someone accidentally damages your garage door, call us for rapid assistance. As a locksmith firm, we also provide valuable service to customers who encounter problems locking garage doors securely. Think of us whenever an emergency occurs involving your garage doors! Would you like Pros On Call to install shiny new glass garage doors at your home or business? Or do you require assistance maintaining these items in good repair? Go ahead and schedule a service appointment with Pros On Call now. We’ll gladly help you inspect your glass doors and keep them in excellent working condition throughout the year. Glass Garage Doors https://prosoncall.com/garage-doors/installation/glass/ 4.3/5 based upon 14 reviews.